Rigid versus flexible, smooth versus rough, cold versus warm. 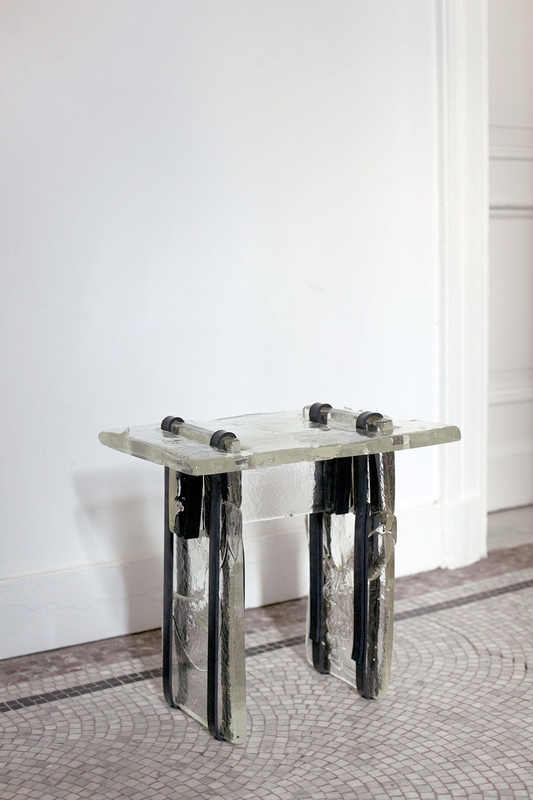 SYN combines contrasting elements in one object and touches the boundaries of these materials. 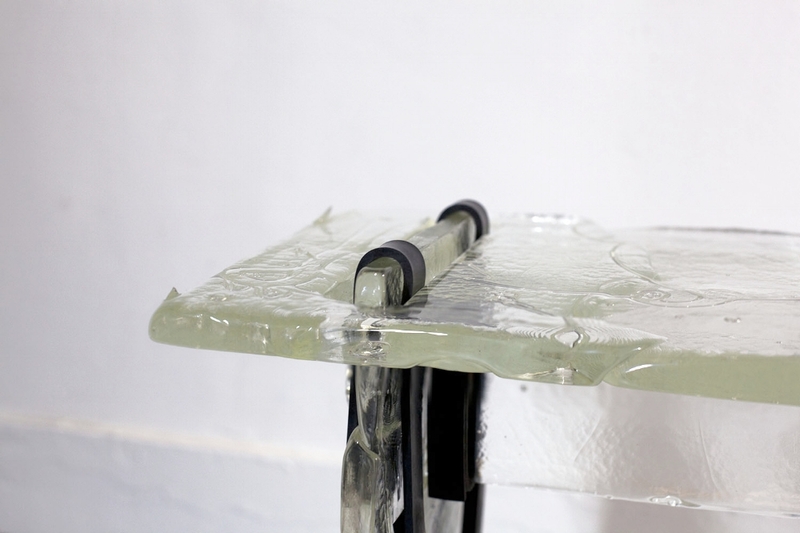 A synthesis between glass and rubber, between traditionally casted and mechanically produced. 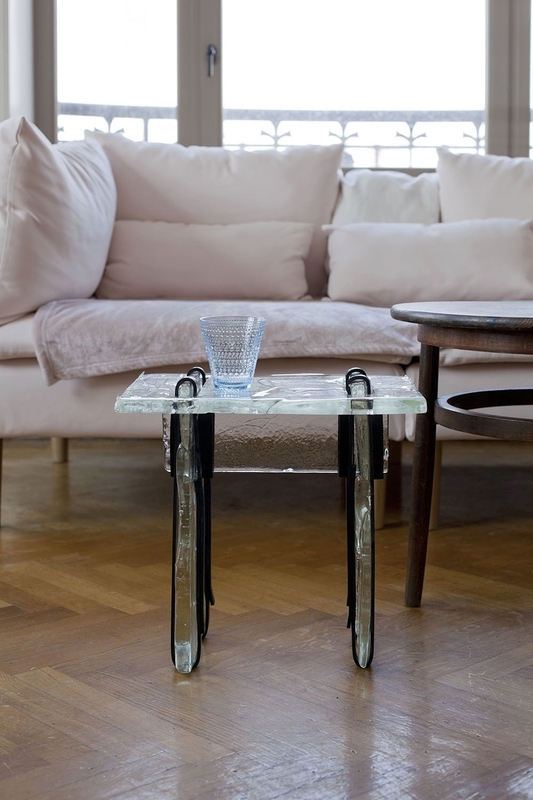 This side table is composed of four glass pieces which are fixed by mortise and tenon joints and tightened by rubber straps. A transparant furniture that carries more in itself.